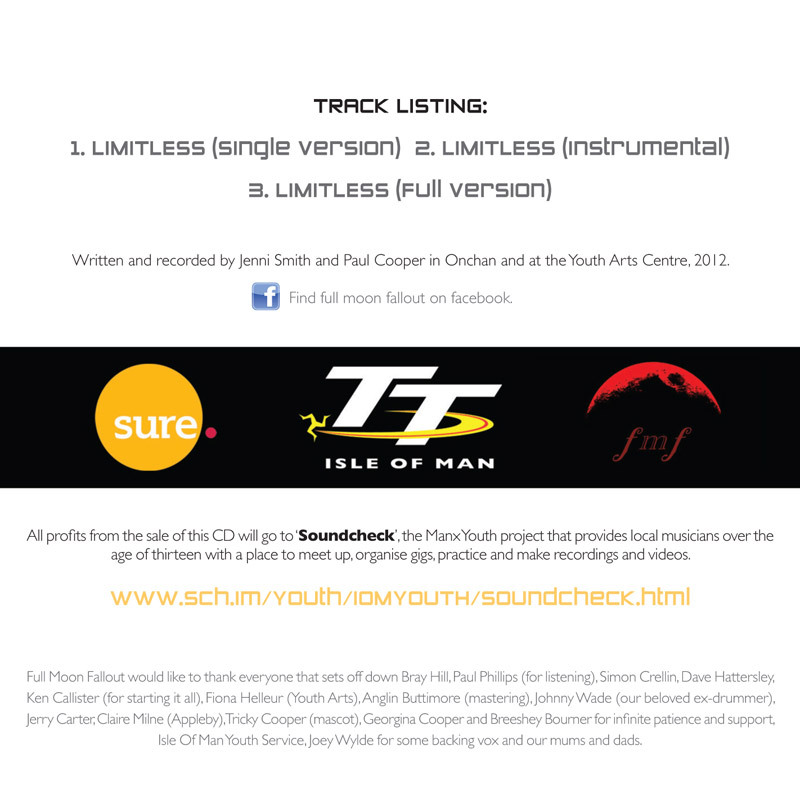 This is the official soundtrack of the 2012 Isle of Man TT fuelled by Monster Energy, with proceeds from sales supporting the Soundcheck youth project in the Isle of Man. The track, Limitless, was written and is performed by 18-year-old Jenny Smith, from Douglas, and her bandmates in Full Moon Fallout 14-year-old Georgia Cooper and her father Paul, who all use the Soundcheck facilities. Soundcheck provides local musicians over the age of 13 with a place to meet up, organise gigs, make recordings and videos and offers practice facilities. The Isle of Man Government Department of Education and Children-run project, that operates out of the Douglas Youth Arts Centre and Castletown and Peel Youth Clubs, will use all proceeds of sales through official TT channels to generate funds to support further activity, including the opening a facility in Ramsey. Official TT Mobile, Broadband and Sidecar sponsor Sure has also supported the project by paying for the cost of the track to be produced on CD.